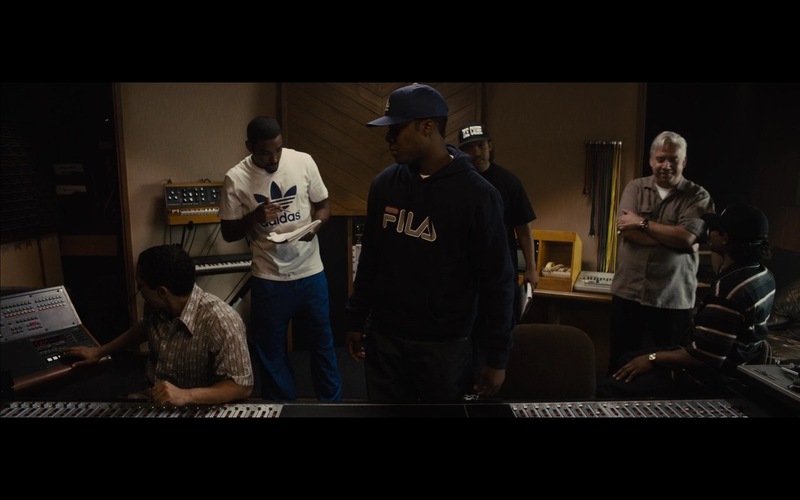 Fila blue sweatshirt and Adidas white t-shirt product placement in Straight Outta Compton (2015) movie. I think the actors are fantastic. 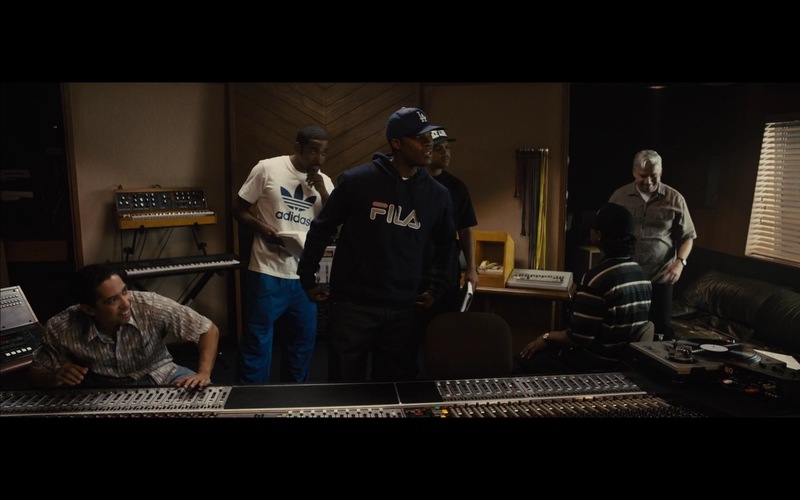 The special effects were not over done and were realistic. Kept you wondering what was going to happen next. In fact, that there might be any organization and people out there doing anything close to this movie is frightening. Very funny and lots of action.